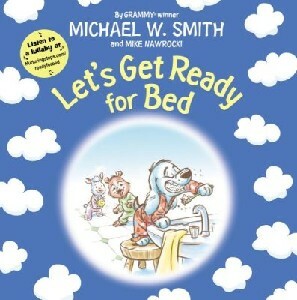 ~Award-winning musician Smith and VeggieTales co-creator Nawrocki team up again for the sequel to Nighty Night and Good Night. In this sweet bedtime picture book, your favorite stuffed animal band---the Nighty Nights---returns to lull your little ones to sleep. Includes a link to Smith performing the lullaby from the story. Ages one to 4. 24 pages, hardcover from Zonderkidz.